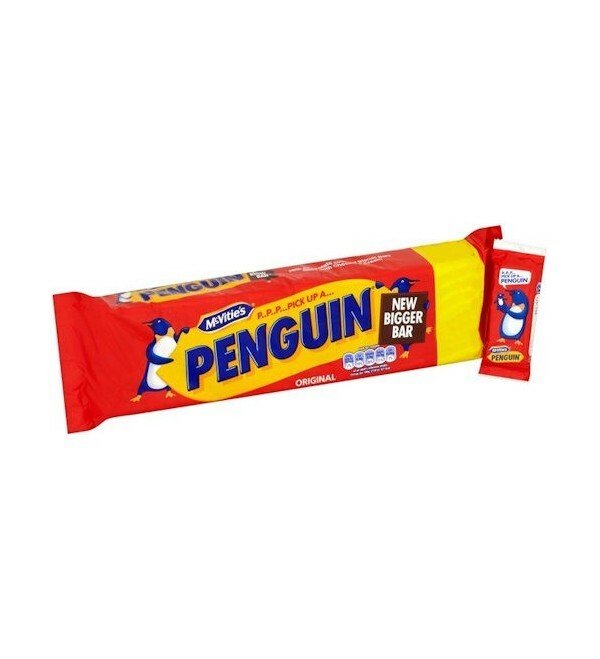 First launched in 1932, the McVities Penguin is a British classic. This famous chocolate-covered biscuit bar remains a stalwart of lunchboxes and biscuit tins across the UK. First launched in 1932, the McVities Penguin is a British classic. This famous chocolate-covered biscuit bar remains a stalwart of lunchboxes and biscuit tins across the UK, and is the perfect lunch or teatime snack. 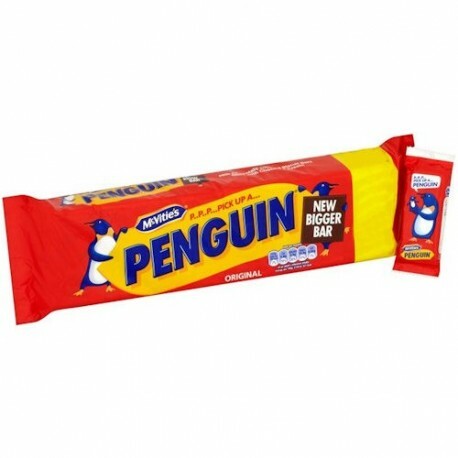 McVities have grown so attached to the penguin that they have set up their own ‘Protect a Penguin’ campaign to care for the welfare of the real-life penguins in Antarctica.